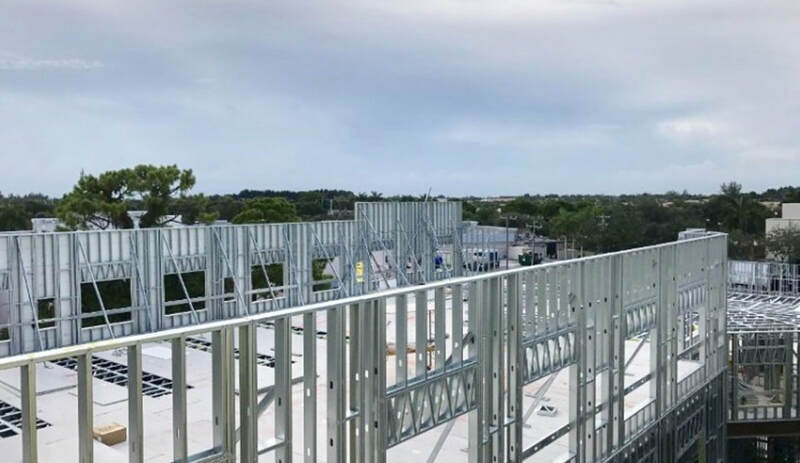 Our firm is a Tellus Building Systems dealer in Palm Beach, Broward, Miami-Dade and Orange County. Tellus is an all inclusive building system offered as a complete building system or individual components. Tellus Superstructures are fully integrated modular building shells comprised of Tellus load-bearing concrete composite exterior walls, Tellus floor systems, Tellus roof systems, and Tellus/Intellisteel interior partition walls forming a complete building superstructure which is manufactured off-site and shipped to the job-site in modular assemblies ready for installation. 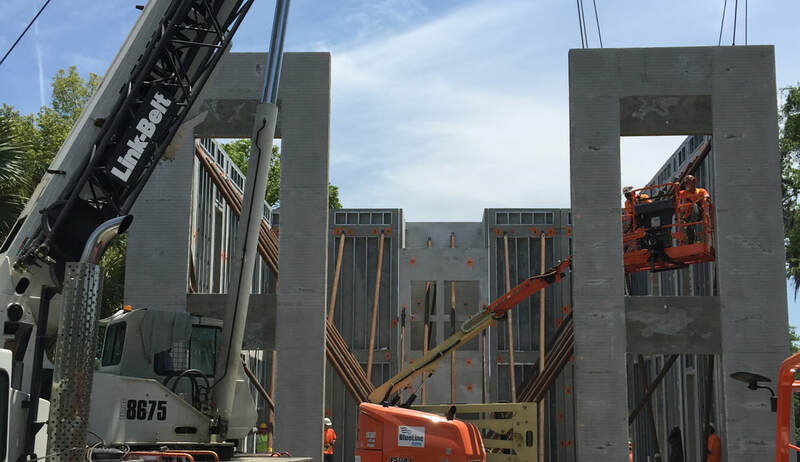 ​Modular construction can be up to 50% faster than traditional construction, and is much more likely to guarantee completion on time and on budget compared to other alternatives. 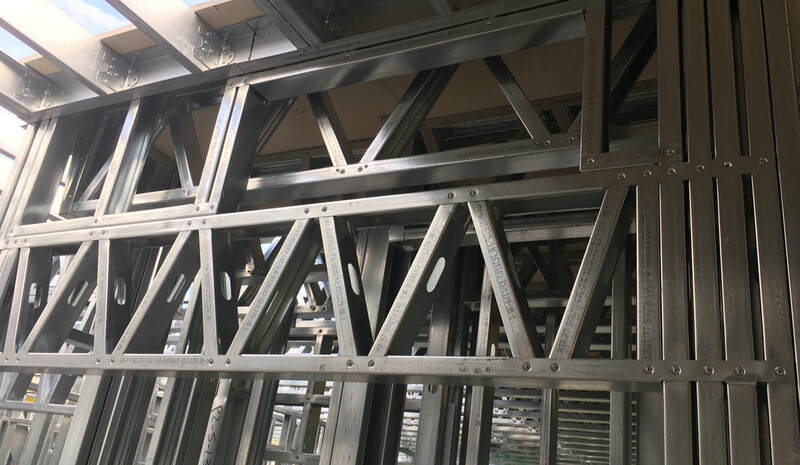 A range of floor systems are offered that can be manufactured as either a composite or non-composite system to achieve the required performance and load capacities. 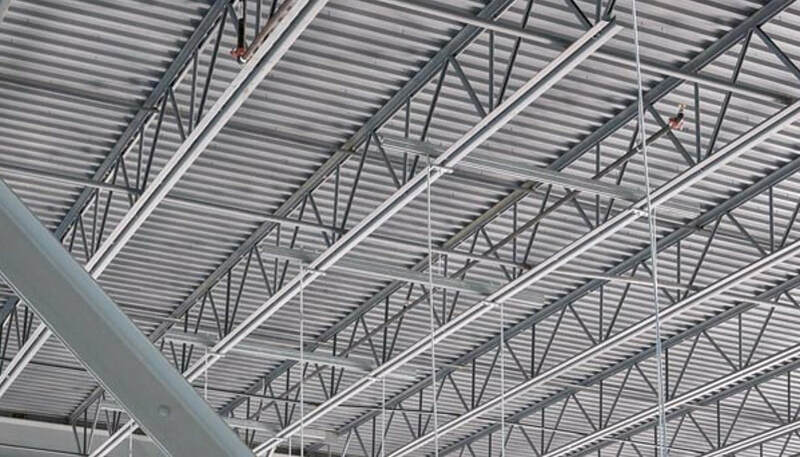 Tellus- Intellisteel open web floor truss with corrugated metal decking and 3” CIP concrete composite topping. 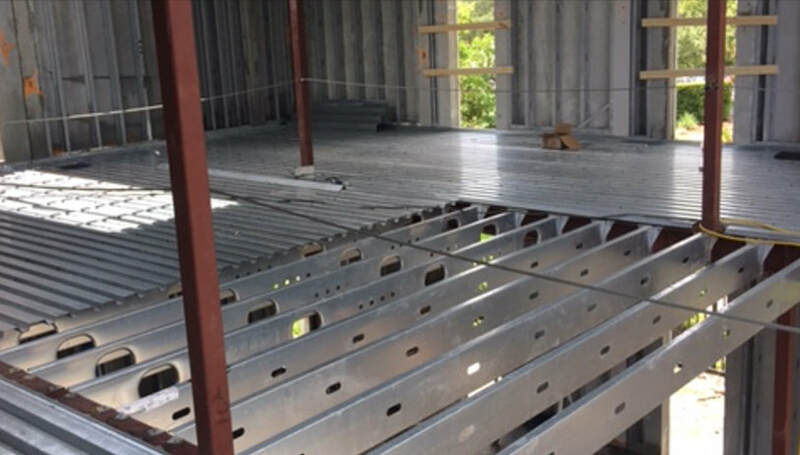 ​Tellus - Intellisteel Deep “C” joists with corrugated metal decking and 3” CIP concrete composite topping. 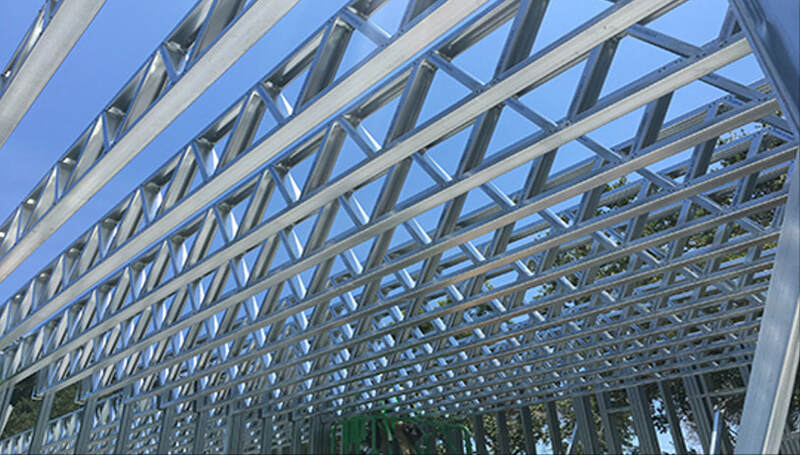 Tellus-New Millennium standard bar joists and girders with corrugated metal decking and 3” CIP concrete composite topping.